Recent review: Kevin was professional, talented and knows how to play a party! Recent review: Suzanne was an amazing keyboard player. I'm glad I hired her. do you have a synthesizer? can you play the solo in "lucky man" by elp? Keyboard players are a perfect choice for events of all types from corporate and community events, to birthday parties and weddings. They can provide a variety of sounds and styles of music. Electronic keyboards can synthesize unique sounds and multiple instruments, making it a great substitute for a full sized band. Keyboard players can provide a similar service as a piano player, but offer the convenience of portability that you can't get with a baby grand or upright piano. 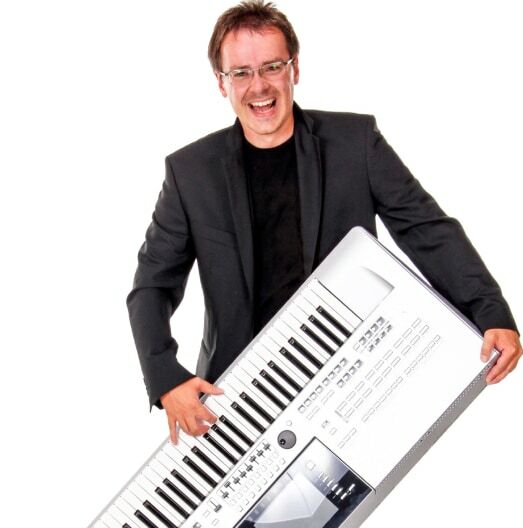 Search for Keyboard Players in Hollywood, Florida above. Please note that these Keyboard Players may also travel to Golden Beach, Dania Beach, Aventura, West Park, Port Everglades, Bal Harbour, Bay Harbor Islands, Surfside, Biscayne Park, Opa Locka, Miami Shores, Wilton Manors, North Bay Village, El Portal, Oakland Park, Lauderdale By The Sea, Miami Lakes, Sea Ranch Lakes, Southwest Ranches, Hialeah Gardens, Miami Springs, Medley, Fisher Island, Weston, Virginia Key, Lighthouse Point, Doral, Hillsboro Beach, West Miami, and Sweetwater.